Australia’s wide-open expanses loom large in our national imagination. Dorothea Mackellar wrote of her love for a sunburnt country, a land of sweeping plains. Frederick McCubbin captured the spirit of a young family building a life in the bush in his iconic painting The Pioneer. Baz Luhrmann chose to set his cinematic love letter to Australia in a cattle station in the far north. At a time of year when many of us are holidaying along our idyllic coasts, in mountainous hinterlands or in the vast interior, we are reminded of the spectacular beauty of these regions and the important contribution they will make to our economic future. On the other hand, while our major cities may not offer the same romance, they have the greatest potential to create new businesses and, with them, new jobs. Last year the government asked the Productivity Commission to seek ideas for productivity reforms. As is often the case with micro-economic reform, the individual changes may appear incremental but in aggregate can offer a significant boost. In our submission to the commission, the Australian Chamber made the case for improved planning and infrastructure to help our cities to grow. We need to commit to transport infrastructure that will unclog congestion. Australia’s population is projected to reach 30.5 million by 2031 amid increased urbanisation, leading Infrastructure Australia to put the cost of congestion to the economy at $53 billion a year. As it stands almost three-quarters of our population growth (5.9 million more people) will occur in Sydney, Melbourne, Brisbane and Perth. Determining what to build can be a tricky business. That’s why we need to take the politics out of decisions over infrastructure spending. Instead, we should rely on the objective analysis of Infrastructure Australia in evaluating projects to determine which ones will offer the best value for money and make the biggest improvement in living standards. But there are limits on the capacity of these four major cities to grow, as anyone stuck in traffic can attest. That’s why governments at all levels should foster the growth of Australia’s smaller capitals, in particular Adelaide, Hobart and Darwin. 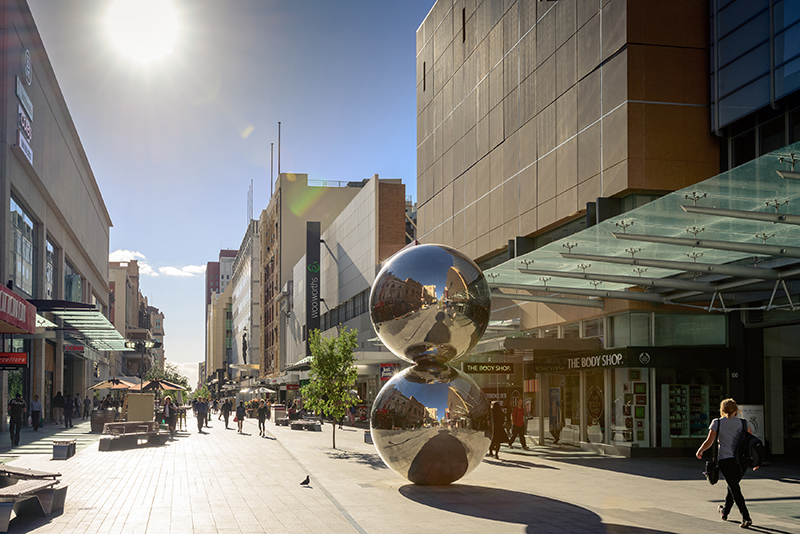 Regional cities — including Newcastle, Wollongong, Geelong, the Sunshine Coast and Gold Coast — also should be targets for growth. To get there we need better connectivity with established population centres. As the populations of these regional cities grow, there will be economies of scale that make the delivery and operation of quality infrastructure more cost effective. Record low funding costs mean that now is an ideal time to invest in infrastructure. But rather than taking on all of the risk themselves, governments should engage the private sector in the design, development, operation, maintenance and financing of infrastructure. Innovative financing solutions, including value capture and incentives for asset recycling, can be used to bring investors to the table. It is not just people that need to move but also goods. The national land freight task is expected to grow by 86 per cent across the two decades to 2031. Given that our regional businesses and the people who work in them produce key exports — minerals, energy and agriculture — they need better connectivity to get their products to Australian consumers and overseas markets. It makes sense to build resilience, and adapt, to the impact of climate change. Electricity and transport account for half of Australia’s greenhouse gas emissions, so are major targets for reducing emissions. There is already a blueprint in place — the National Energy Productivity Plan, agreed by the Council of Australian Governments, aims to improve Australia’s energy productivity by 40 per cent on 2015 levels by 2030. Lifting energy productivity could be an important step in reducing the cost of energy as well as associated carbon emissions, while ensuring a secure and reliable supply. Right now Australia ranks last among 33 OECD countries for the collaboration between industry and researchers. Improving our performance requires grouping together instigators of activity and giving them access to critical research infrastructure. That’s why we propose special innovation zones. The obvious example is Silicon Valley, but we can look a lot closer to home for a demonstration of a knowledge hub at work. The City of Sydney has championed a tech start-up action plan that involves building a strong entrepreneurial culture and community, creating skilled and connected entrepreneurs, supporting their access to funding and developing technology entrepreneurs’ access to markets. Other major Australian cities could learn from Sydney’s action plan to promote a clustering of networks among their own innovators and entrepreneurs. This month the Grattan Institute noted that half of all jobs growth was within a 2km radius of the Melbourne and Sydney city centres. The shift to a services economy is likely to continue, so we need to do all we can to make it a success, not just in our two biggest metropolises but in capitals and regional cities across the country. This piece was first published in The Australian on January 13, 2017.